Although you may have tried a lot of ways to thrive and heal, you may still feel stuck. The truth is, most of the time, what’s really getting in your way is old trauma. Trauma can’t be fixed; trauma must be healed. Trauma is actually lodged in your body. The healing of that trauma happens in the heart; when the trauma is given care directly, then the part of you that was so hurt can re-integrate, and you can feel whole again. This type of communication is what I call the Language of the Heart and the Body. As you heal, you will start to thrive personally and professionally: you will be more effective in your life, and feel more confident in your work. If you’re a practitioner, your clients will get better faster, which means you will ultimately see more clients, have increased cash flow, and greater ease. You need to be willing to become self-aware. This involves learning what your blocks are, and recognizing that all pieces of yourself need to be explored and brought to light. In this way you free yourself to fulfill your potential. Accepting what is, which includes accepting every part of yourself, and working with those areas that still need healing (even if they are hard to look at). This means getting to a place where you can be without judgment of yourself, and beginning to deeply embrace yourself just as you are. It also means letting go of the desire to fix yourself. Movement begins with self-awareness and acceptance of the trauma that has blocked you. From there, you simply need to work through it all in the heart and body. You have to be anchored in something beyond yourself. Trauma creates a rift between you and the Divine. As you use the Language of the Heart and Body to clear your trauma(s), you begin to heal that rift. The next step is to go further, and repair your trust in the Divine, which happens at the heart level. 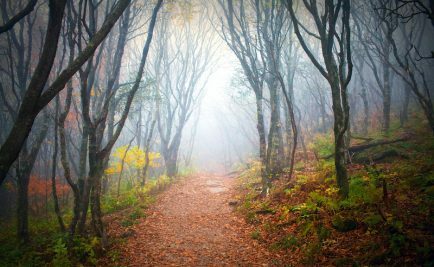 This path requires your full engagement — body, mind, emotion, and spirit. That is what I call spiritual growth. True spiritual growth happens through the heart, not the mind. We tend to try to think our way to healing, but it’s the heart that has to do it. Moreover, this work cannot be done alone. We need someone who can shine the light on what we are ready to see, and hold a loving space for those things that are painful for us to look at.